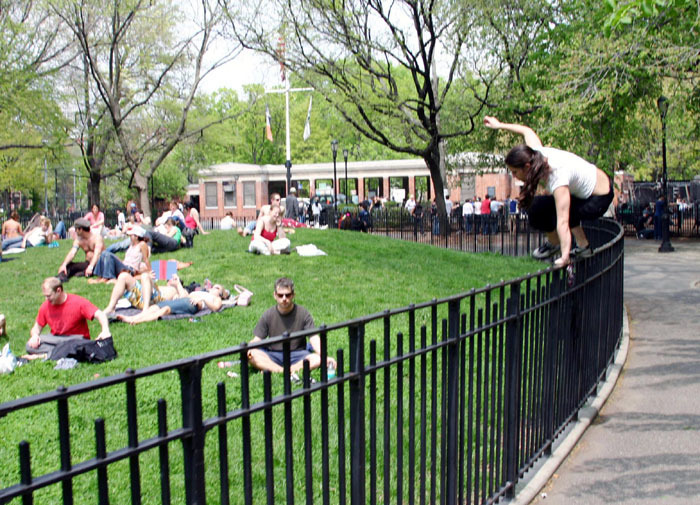 Tompkins Square Park is an impromptu stage and meeting ground for the entire eclectic East Village. The East Village is the intersection of SuperCool art school never-grown-ups, and the vital economic transformation of a neighborhood that one was home to the grand central of crack cocain distribution in Manhattan. 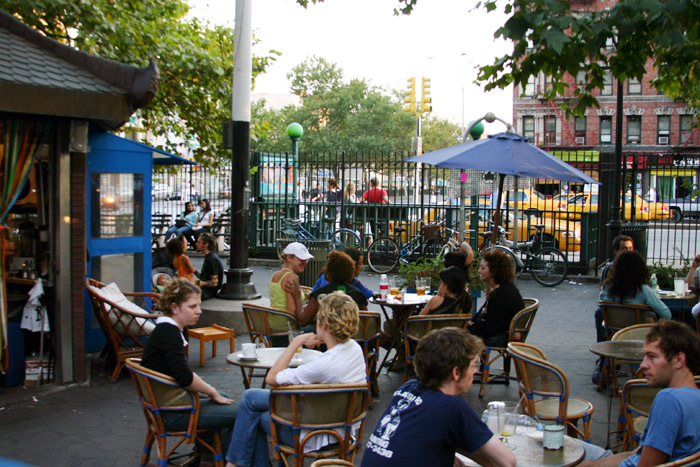 The center of the East Village is the (now) well maintained and pleasant Tompkins Square Park, which is home to various bazaars and events throughout the year. 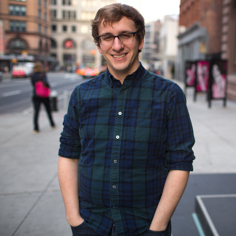 It serves as impromptu stage and meeting ground for the entire eclectic East Village. The East Village is rife with pop clothing shops, specialty food and drink, wedding dress shops, and oh yes, the occasional bar or twenty. Every element of growth radiates outward from Tompkins Square Park. 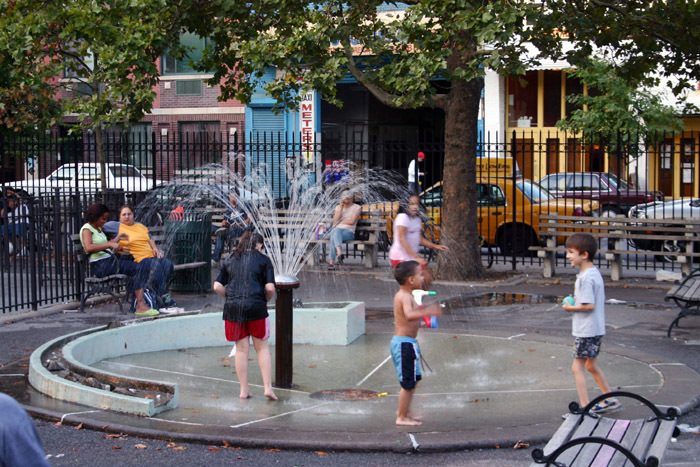 Tompkins Square Park is the most likely cause of decrease in productivity in its residents in the summertime, as it sports a variety of leisurely and frenetic activity most months of the year. It is the centerpoint of the East Village. 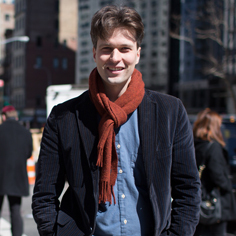 Everyone in the East Village is different. Very different. Yet we seem to all get along very well. My favorite saying is "Every day is Halloween in the East Village". People enjoying a summer day on the lawn in Tompkins Square. 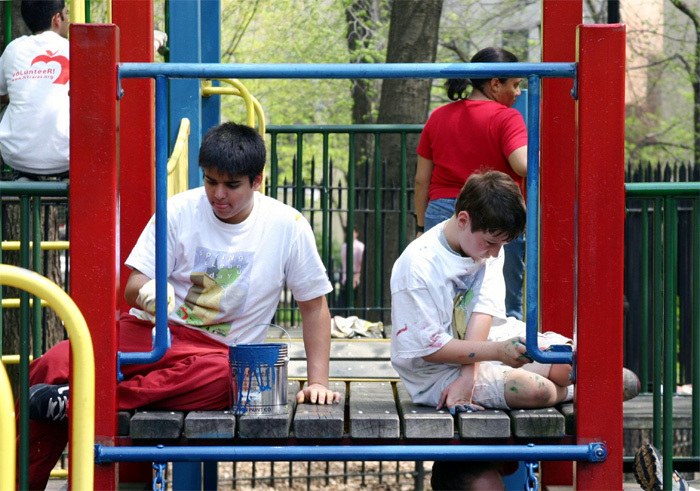 Volunteers in Tompkins Square repaint playground equipment.